When asked to take a look at Wicked Uncle's website, a brilliant site for finding children's gifts, I decided to have a little look for something for our baby boy. I sat with Darcie and asked her what she thought her little brother would like and she decided upon a cuddly toy. The website, Wicked Uncle, is really geared up for smooth and easy online shopping. Its a site that has been set up for those people searching for gifts, grandparents, aunts and uncles - hence the name. You can select whether you're buying for a boy or girl and also the age of the child. I clicked the 'Baby Boy' tab which immediately found results suitable for a baby boy - easy hey! 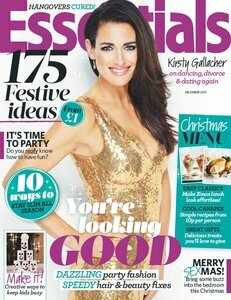 No more wasted time spent clicking through pages and pages of products which are just not what you're looking for making present buying a whole lot easier! We decided upon the Twilight Turtle. 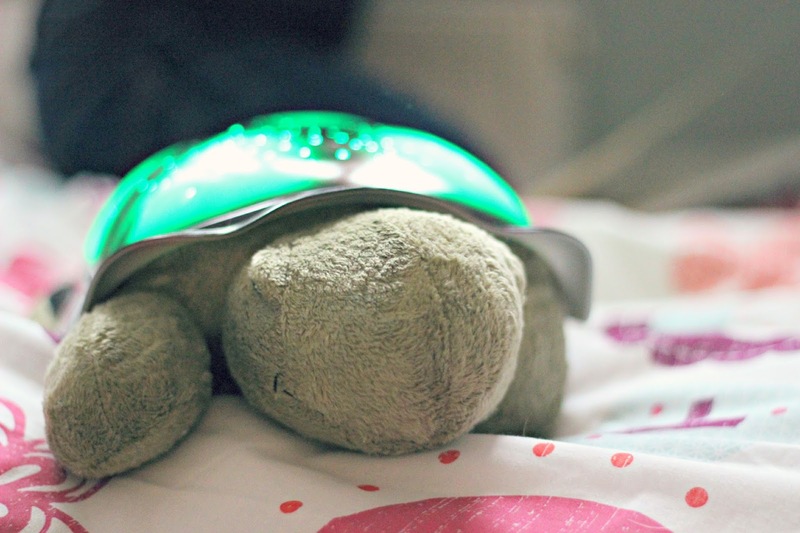 I had heard wonderful things about this cuddly night light and thought it would be perfect for baby boy's room. Darcie agreed and was very excited to get her baby brother a little gift! 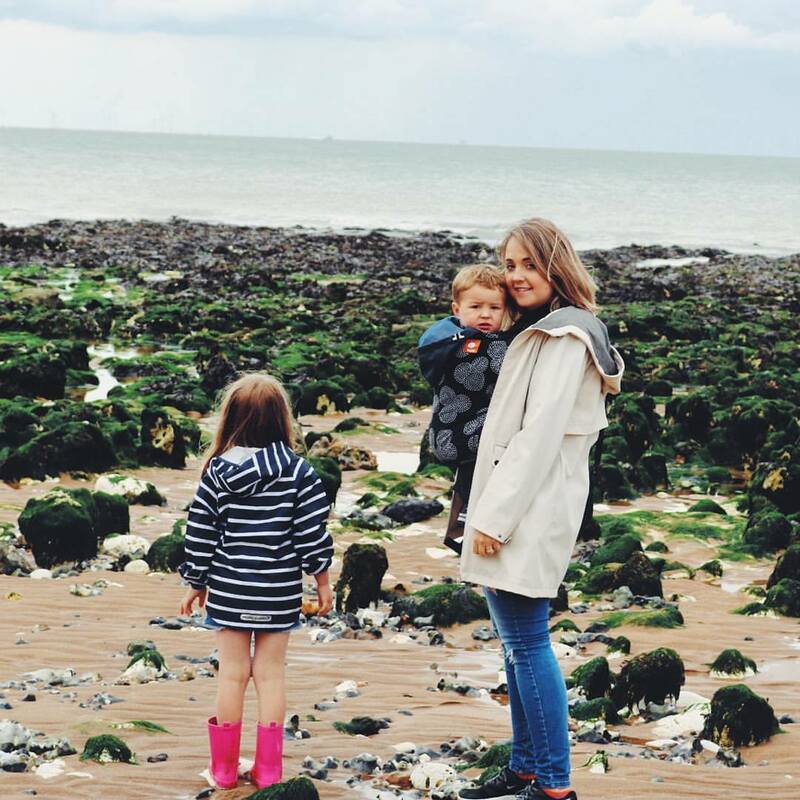 The item arrived quickly (two days from ordering) and so we were very pleased with the quick & easy service. 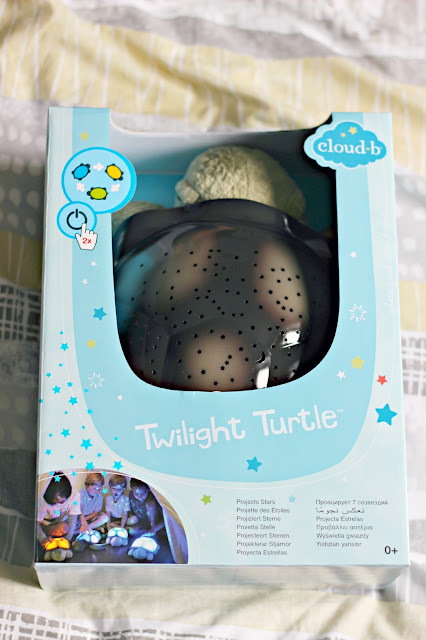 The Twilgiht Turtle is in a beautiful box which is idea for a new baby, christening or baby shower gift. Inside you will find that the turtle also has a little information booklet which talks you through the constellations which the Twilight Turtle projects from its plastic shell. 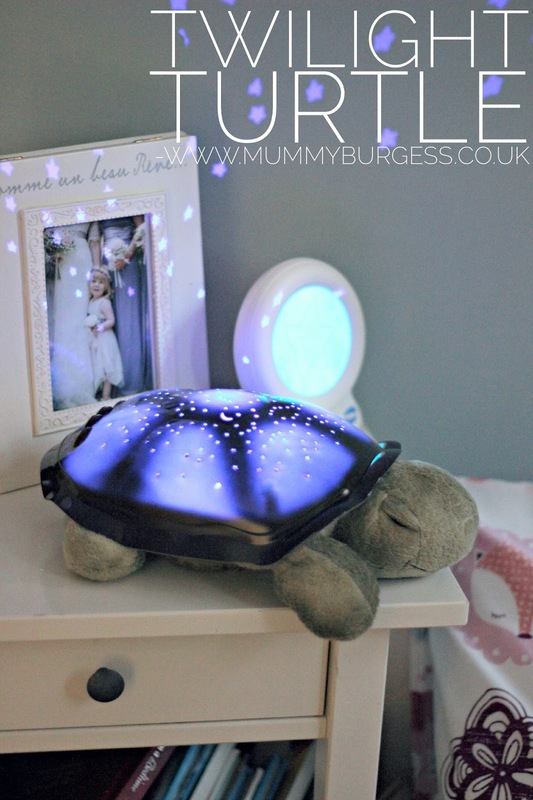 The Turtle projects stars across your little ones rooms and has four settings, you can have a choice of three different colours (blue, green and amber) or choice to set it so it changes colour. One thing I did like about this little guy is the fact it doesn't make a noise. Which is perfect if you have little ones who share as quite often these light projectors can play annoying lullabies as well which can disturb the older children. Now despite this little guy was bought with the intention for our baby boy, Darcie has grown slightly attached and has proclaimed that she will simply just have to share it with her baby in brother because she loves the Turtle "so much". Or mummy may have to purchase another, but at £29.95 I don't think I would mind too much! *This product was gifted to form part of the review. All thoughts, opinions and images are my own.